Trying to put your finger on why you feel a fondness for the The Archway. Is tied in with why you find something ever so wholesome about shopping in The Coop. Or admire the Big Issue seller as she stands through thick rain and biting cold. Trying to put your finger on your fondness for Archway should be a rainy day game. But it’s sunny outside the friendly Archway cafe window. And i’m playing it all the same. 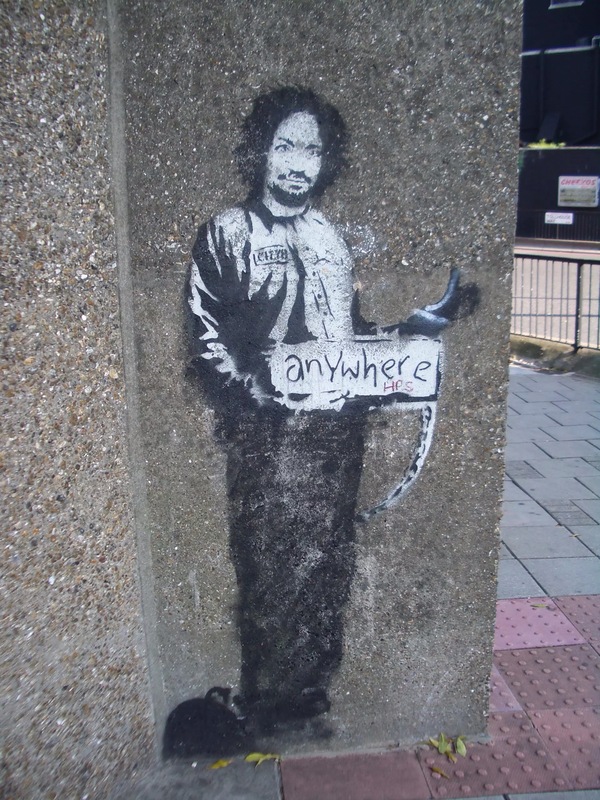 For those who don’t know the picture is of a Banksy that was at the bottom of Highgate Hill for years. It disapeared over a year ago… Sad! Next Harsh words for the inhumane.